Based off of the famous WWII We Can Do It! poster. 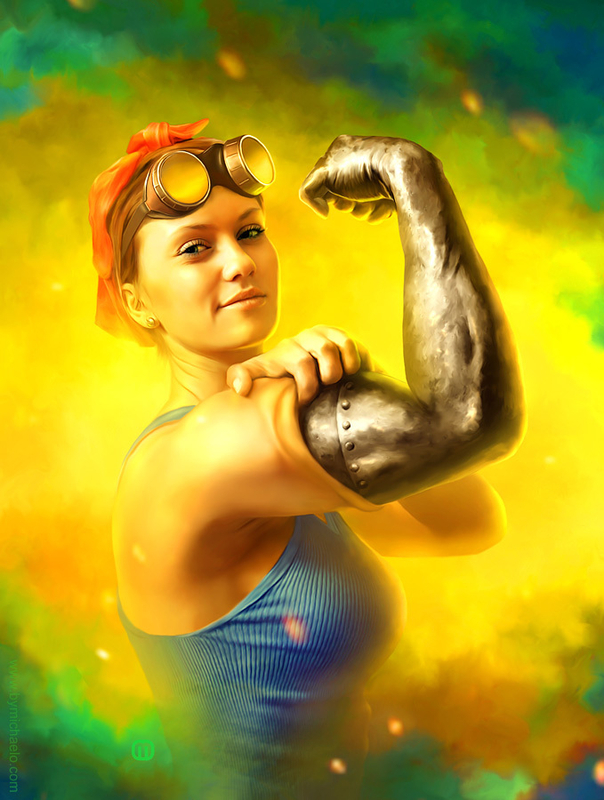 If you've never seen it before just google Rosie the Riveter. Yes, it's been copied a million times but I've yet to see one with the arm like this. All Photoshop based off of a photo from model Ranie Egusquiza. Her arms aren't really this big - it just took a little liquifying.